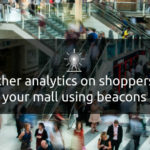 According to a recent report from Flurry, a mobile analytics firm, shopping app usage grew faster than any other category of apps in the past year. In 2014, sessions on shopping apps on iOS and Android devices increased by 174% . This is a great sign for retailers who have an app or are planning to invest in an app. However, a lot of retailers struggle with building and growing the user base of their app. i) Keywords – In order to improve your search rankings, you need to know which keywords are relevant and used most often by your target audience.The simplest way to arrive at your keywords is to review your competitors’ app store titles and use words from there. Since those words are working for them, there is a higher chance of it working for you too. ii) Title – Your title should consist of the most searched keywords in the retail domain. However, be sure not to overdo it by stuffing too many keywords into your title. Walgreens is a good example of a retail brand that has got the title right. iii) Description – Your app’s description should include an in-depth feature list and state the value it offers. Your customers need to see the benefit and clearly understand why they should download your app. For example, Argos does this beautifully in their description by highlighting the salient features such as ‘1 Click Reservation’ , ‘ Fast-Track’ collection and more. iv) App Screenshots – Screenshots of your app are a great way to give your potential users a glimpse of what your app looks like. Invest time in creating and editing screenshots to showcase your app’s features. 2. Use email to persuade users to download, install and launch your app: Email is essentially free and promises high conversion rates for app downloads. Transitioning your existing users to your app through email will help you grow your base of loyal app users who already love your brand. You can also place the app download links in the footer of the mail. Using the conversion tracking tags on the logos in the footer, you can easily track and measure your success. 3. Market your app in offline settings: Online marketing is not the only way to get users to download your app. Retailers with a physical presence should promote their apps’ unique value proposition in-stores with in-store signage, at the point of sale etc. The aim should be to help people understand how your app will enrich their experiences, as well as any exclusive offers that will be unlocked by getting the app. Walgreens, for example use a signage to make customers aware of their app and the features that the app offers. This is a great way to promote their app in-stores. 4. Offer features that will entice customers: In the end it’s all about how good your app is. Make sure your app makes it easier for the user to shop with you. Some of the things you should focus on are – solve a problem that users generally face while shopping, offer a great UI, offer app-only discounts and more. CVS Caremark, consistently rated among the best retail apps provides an immediate actual utility. Users can manage their pharmacy prescriptions such as fill out rapid refills, find deals on products, and make orders that they can then pick up in their local store. There’s mobile-focused shopping with free shipping, but the experience is oriented toward improving a user’s in-store experience. Keeping these 4 tips in mind will help you get to more users. Once you have taken this crucial first step, you will need to focus on retention, app usage, lifetime value of the app etc. Honing your mobile strategy according to the changing needs of the market and user expectations will help you stay ahead of the competition. Try these tips and let us know if these worked for you!